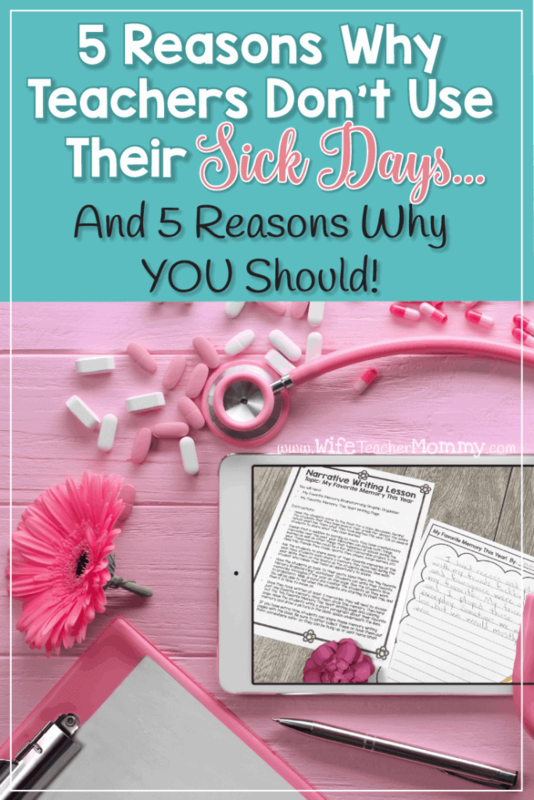 Here are 5 Reasons Teachers Don’t Use Their Sick Days… and 5 reasons why YOU should! For every classroom crawling with kiddos, there is a teacher that is exposed to an assortment of germs. Yes, teachers get sick, and unfortunately, it can happen more than once a year. And while you can try to avoid getting sick as a teacher, you can’t prevent every illness. However, many teachers drag their tired selves to school, avoiding calling a sub and taking one for the team. 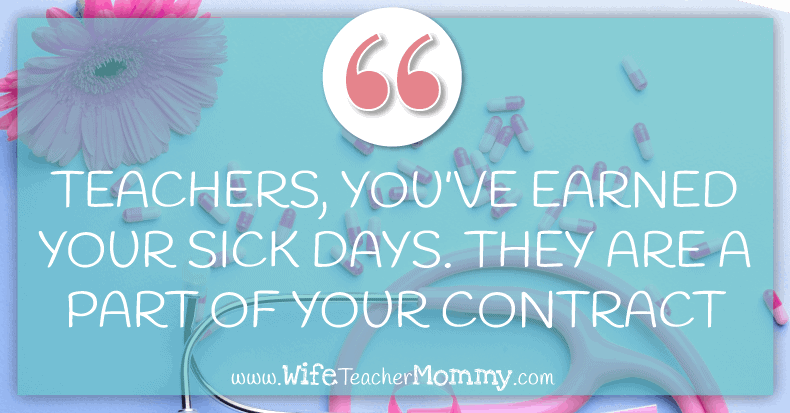 Teachers are constantly foregoing their sick days even when they are sick! Here are 5 reasons teachers don’t use their sick days (and some reasons you definitely should). This is the #1 reason why many teachers don’t take their sick days. Every teacher knows that it’s more exhausting to plan for a sub than to just drag your sick self to work and try to make it through the day. Writing out plans for lessons, emergencies, contingency plans for behaviors and medical needs requires time and energy, something that is often lacking when you wake up at 4 a.m. with the flu. Going to work sounds easier than trying to articulate daily plans to a sub. Next time, take the day off. After all, uncared for illness can turn into multiple days of illness. The only thing worse than planning for one sub day is planning for a week off. 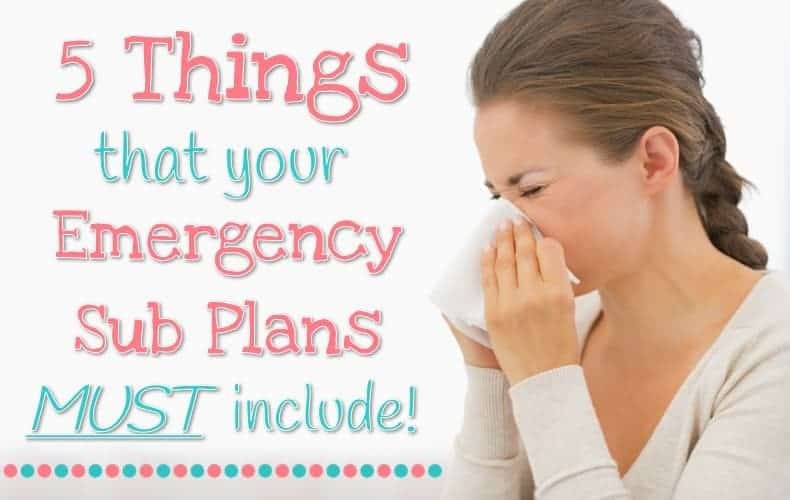 There are tons of premade plans available online to make planning for an unexpected absence easy, so take the day (or two), and put those plans to work. 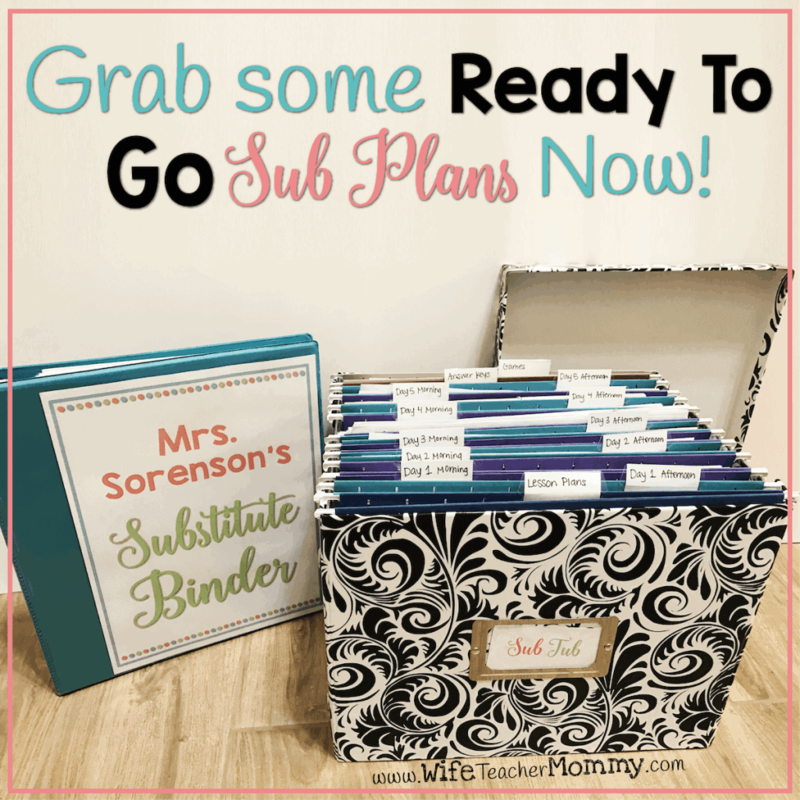 I’ve even got full days and up to a week of sub plans in my Teachers pay Teachers store! You can check them out above. You can also grab a FREE sample by clicking the link below! This one is probably just as prevalent as the first reason. When teachers say they’re our kids, they aren’t kidding. Leaving your students without you at school can be tough on the heart. What will they do without me? Will the lessons get done? Will Billy be able to talk about what’s bothering him at home, or will Sally get enough help with her math? Maybe things won’t go as perfectly as if you were there yourself, but the kids will survive. Call in. Let yourself feel better, and your kids will thank you for it! 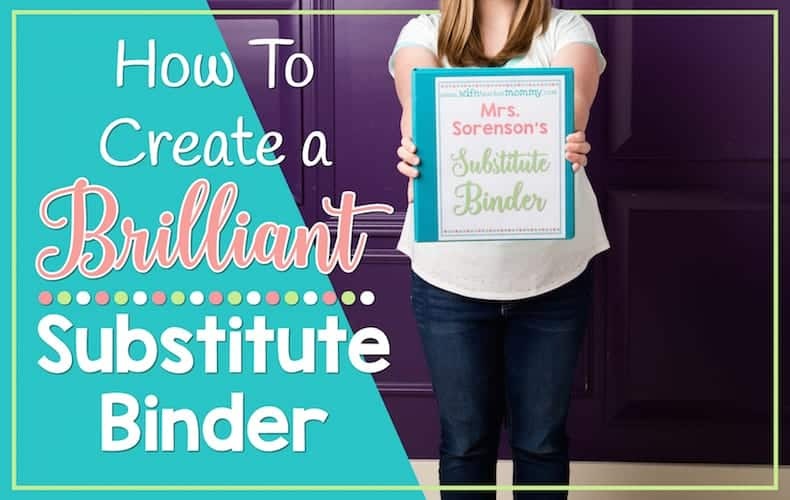 It’s your classroom, and handing it over to a substitute teacher can be tough. Not knowing what may happen when you enter that early morning sub request can be scary. 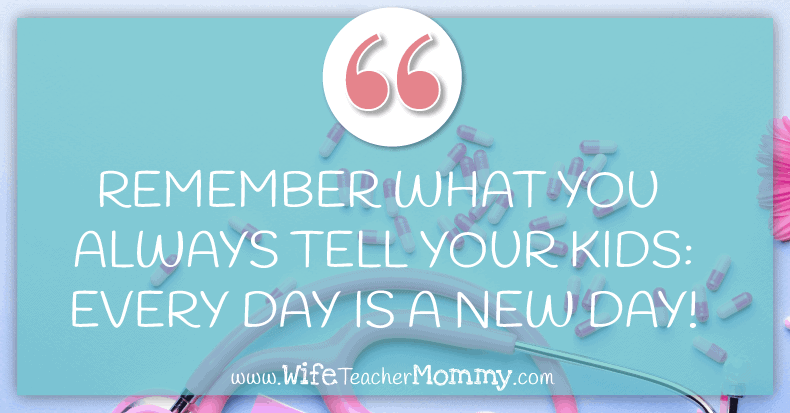 Remember what you always tell your kids: “every day is a new day.” Chances are, your sub will do an excellent job, and the kids will behave. If they don’t, you’ll be back to pick up the pieces in a day or two. Plus, your kids will be so happy to see you back! Teachers get the whole summer off. Why not wait until then to get sick? For some reason, these alleged months off might make you feel that it’s not OK to take a mental or physical health day between August and May. Life happens. You may get sick, and well, sometimes, you might just need a day off, and that’s all right. Put in the sub request, and let your heart and body rest! 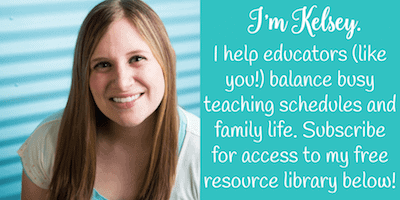 Leaving your students can be like leaving your own family. You grow accustomed to seeing them every day, and you want to make sure they’re OK. However, remember you and your own family (whether that’s a significant other, spouse, kids, or pets) are your main concern. Taking care of yourself is priority one. Make sure you are well enough to be there for your own family. The kids will be there tomorrow in the classroom, and there are always people in your building or subs to help you out. Teachers: you’ve earned your sick days. They’re part of your contract, and getting ill is part of life. Sometimes, it’s even necessary to take a day to mentally regroup. Teaching is a tough job, and educators have a hard time leaving their kids. Making sub plans, overwhelming guilt, the promise of summer, giving up control, and leaving your classroom family can be tough. 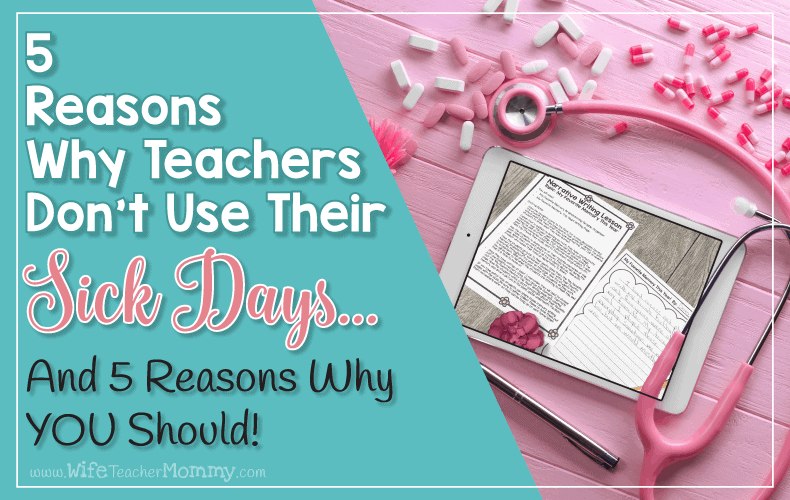 These are 5 reasons teachers don’t use their sick days, but it’s time to start taking back your days and being the best teacher you can be by taking care of yourself first!